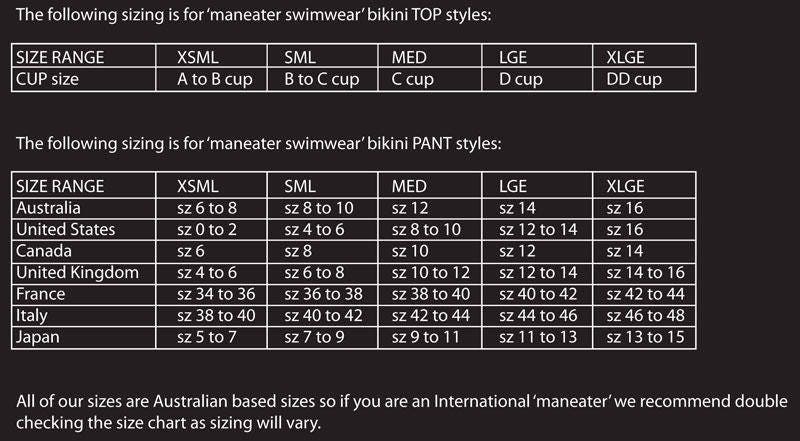 35%OFFSALE *** MissManeater HELLO_SAILOR double tie thin sliding halter top with bow detail *** MICROcoverage! 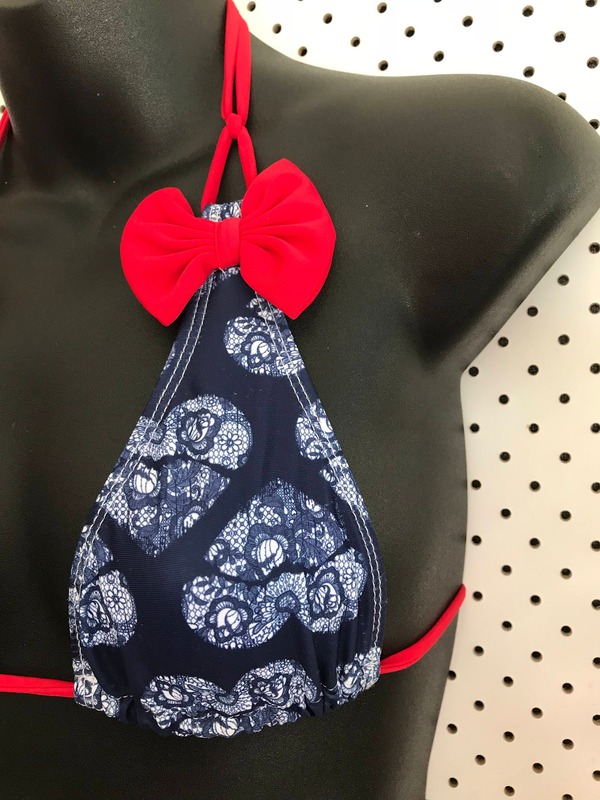 This double tie thin sliding halter top with RED bind/bow detail and spaghetti ties is perfect for that girl who wants a little more cleavage than coverage. 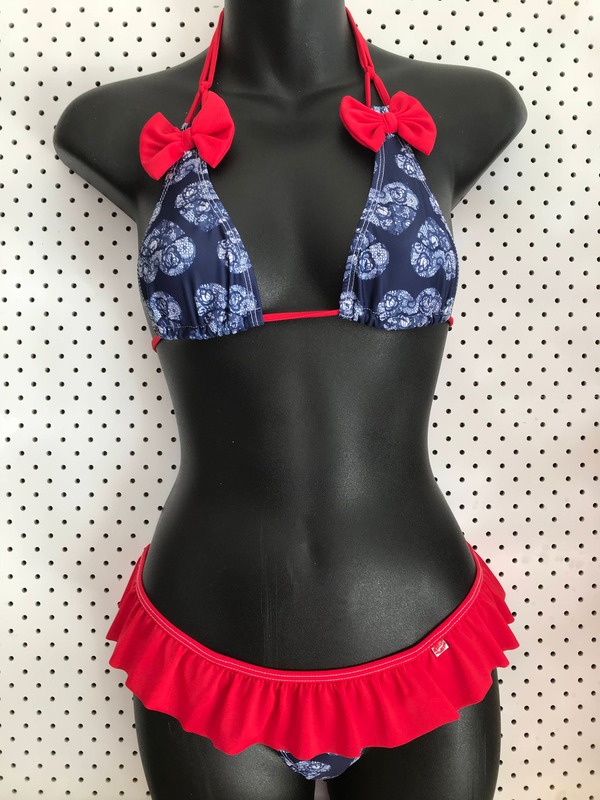 Made from the highest quality DIGITALLY PRINT elastane fabric, you will NOT find this print anywhere else! Cause we made it with out MissManeater LOGO with lace fill! It is finished with WHITE lining doubled on the cup for a quality finish.